An Electrical Engineer turned Management Consultant and Motivational speaker, Team-­‐builder, Trainer, Facilitator, Author, Life Coach with excellent personal, organizational and client relationship management capability. He spent over 12 years at Transnet, Eskom, Microelettrica and Afrox in the electrical engineering, project management, sales and key account management environment with subsequent coaching and mentoring before starting Rise Up and Do It Business Enterprise which is accredited by the Services Seta. Linda has great passion to develop people from all walks of life in corporates, government departments, youth groups, organizations, schools and institutions of higher learning. This enables him to partner with clients in providing effective solutions and outstanding project execution. Ikwekwezi FM, as well as regular appearances on SABC, E-­‐TV, Top TV, Tshwane TV and Soweto TV. He is also a regular contributor on the weekly Move Magazine. Limpopo Department of Arts and Culture, Department of Health, SEDA, Emerald Foundation SMME annual conference just to mention a few. of their comfort zones and above all make a difference. He has authored three books: Your destiny is calling, Make it Happen ; From sacrifice to greatness and You are wired to win. 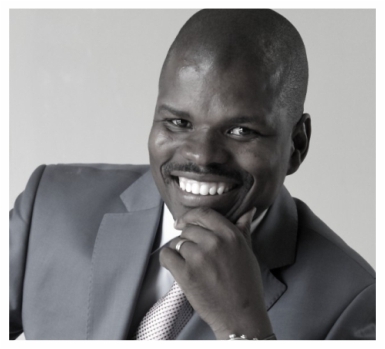 He has produced three motivational DVDs that are available at music stores countrywide.